CES 2015 is already crowded with some exciting models from various players in gadget market. In addition to this, one more product draws the attention of fellow customers. 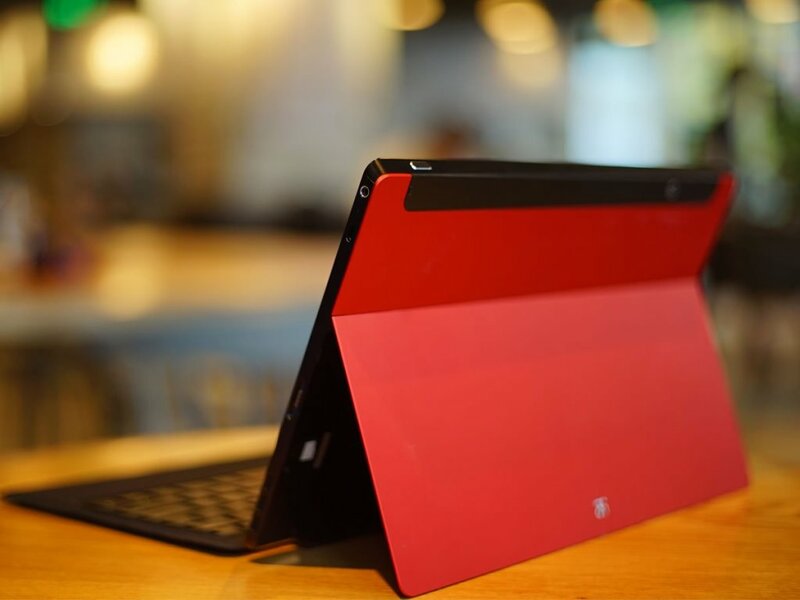 It is the ultra-tablet from the newly formed Chinese company Jide. Jide was founded by some old googlers. They have already trolled Android as a terrible product for work environment. According to them, Jide’s new tablet model is the ‘first ever’ Ultra tablet. Jide tablet comes with Remix OS which is an improved version of Android 4.4. They have designed the model especially for the office works. The device just looks like the clone of Microsoft Surface tablet. The Ultra concept has been introduced to the device with a large display of 11.6-inch. The laptop like design with all the tablet features is a thing to watch. 1080p resolution support is there with the massive screen makes it a product to watch out at CES 2015. Apart from this a 1.8 Ghz NVIDIA Tegra 4 processor is there inside the device for enhanced graphics. Jide’s team has put lot of effort to realize the concept of hybrid models. Present day products comes under this category stills lacks the perfection and Jide has somewhat made it possible. A magnetic detachable full-size keyboard is there to provide the laptop functionality to the device and is also enabled with a dual angle kickstand. The featured weapon in the arsenal of Jide is the Remix OS. Jide has literally converted the latest Android Kitkat version to an OS with looks similar to the windows. Actually they have mixed the simplicity of Android OS with the productivity of windows. They have developed the remix OS with taskbar and multi window features of windows to bring in a professional touch. Jide ultra tablet comes with a 2GB RAM with a Tegra GPU GeForce ULP 72 processor specially dedicated to graphics. The choice of two models is there with an internal storage capacity of 16GB or 64GB. The device also consists of a 5 megapixel rear camera as well as a front camera with same resolution. You will be amused to see the battery capacity of the device with 8100 mAh. This power cell will be good enough to satisfy your power needs even if you engage in HD gaming with the device having such a great graphical features. Miscellaneous feature of magnetic charging port is also available with the device. The product only weights around 860 gms to hold its’ hybrid’ title. This device supports Bluetooth 4.0 version as well as the Wifi connectivity. The expected price range is around $350 and is expected to release within few months. Most probably Chinese market will see the first model release. This is Jide’s venture to make Google aware that there prestigious Android has some immediate problems to clear.